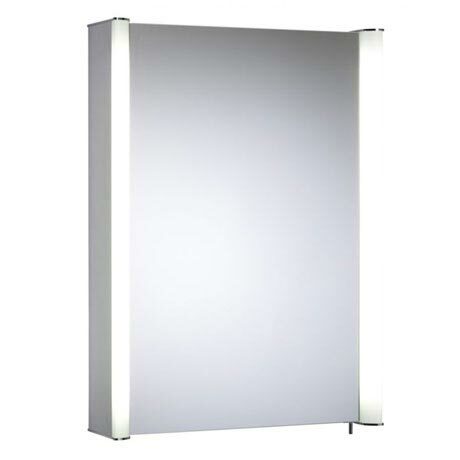 With integrated fluorescent lighting the Idea single door illuminated mirror cabinet is packed with other impressive features such as an infrared sensor that operates the lights and a shaver socket for charging toothbrushes and shavers. The three internal glass shelves are adjustable and provide ample storage for toiletries. All Tavistock mirror cabinets are IP44 rated and are compliant with electrical equipment safety regulations.